This charmingly illustrated picture book will have little ones giggling all the way to bedtime! Kids and adults alike will love the goofy, adorable, not-too-spooky monsters, and the socially positive messages about sharing and conquering your fears--even if you need the help of a little magic to do it! 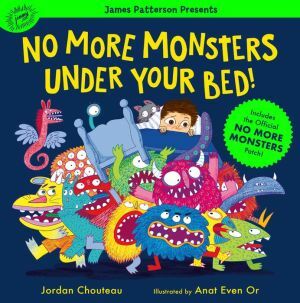 And best of all--every book comes with a FREE interactive no-more-monsters patch that kids can attach to their own pajamas and use to scare off their monsters, too.